We help manufacturing companies with search engine optimization so they get more RFQs. Do these statements sound like they apply to your industrial company? If so, we can help you find success with your internet marketing. Your manufacturing company wants to compete with the older, more-established brands in your space, and get more business from online marketing. You need help with SEO, and you want more organic search engine traffic. Your manufacturing website gets web traffic, but you aren’t seeing many requests for quotes. Your manufacturing website exists to reach more B2B buyers and generate more revenue. That's why we're focused on making sure your company gets a measurable return on investment with your SEO campaign. We do our best work with manufacturers, helping them drive more targeted traffic to their websites, redesigning their sites to improve conversions, and doing the nitty gritty work of helping them rank in Google, and selling more B2B machinery and products. Your website is your most effective marketing tool. We build custom websites that are optimized for SEO. Need custom WordPress development? Or a one-of-a-kind WordPress theme? You're in luck. We specialize in mobile-friendly WordPress sites that are the polar opposite of “off the shelf”. Why are your competitors getting all the leads that come with being on page one of Google, and you aren't? What are they doing that you aren't? Sometimes it feels like black magic, but it's a science. Before we recommend a plan of action for moving your business up the search rankings, we start with a SEO audit of your site, your competition, and tell you what you need to do to beat them at SEO. When all your business comes from your local market, SEO is crucial. When you need to rank above your local competition, you need local SEO expertise. We will help you by identifying and executing on a local SEO strategy that will drive local customers to your door. 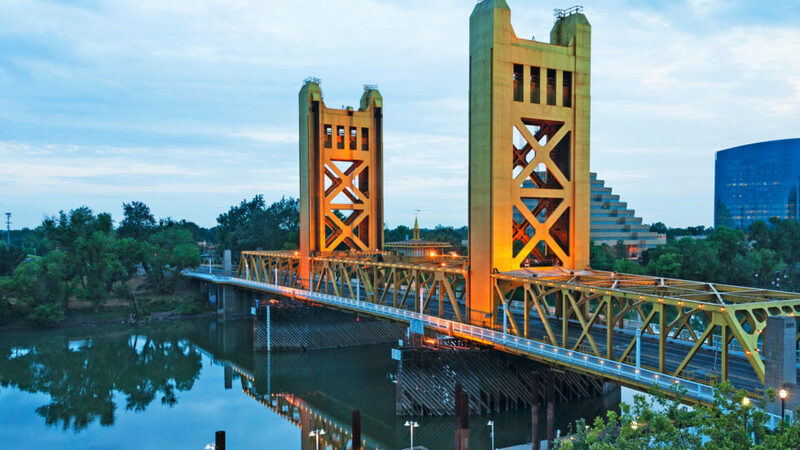 If you're based in the Sacramento region, and tired of dealing with anonymous out-of-state SEO agencies, call us. Our SEO experts are based right here in Sacramento. I hired John to work on my SEO rankings and my internet presence has gone through the roof. I can’t thank Lockedown Design enough for the increased sales that have resulted from their work! Lockedown Design not only helped us by building our website, but by fine-tuning our SEO. We receive many customers from Google. Hands-down, Lockedown Design is the absolute best at customer service and professionalism we’ve seen. Thank you for our amazing site and all of your dedicated, hard work. After many years of trying unsuccessfully to find a true web design professional to help grow our internet presence, we had pretty much given up. Then by sheer luck, we met John at an event and it was immediately clear how amazing John is both as a person but also as an incredibly, sincere and extremely, knowledgeable professional. We are eternally grateful the tremendous help and support we have received from John and can wholeheartedly recommend his services to anyone needing expert WordPress or SEO services. John has done and continues to do an amazing, efficient job for us. Much of our business depends on SEO and our website, and Lockedown Design & SEO has been easy to work with, very fair with pricing, and fast. We even had our website crash, and he came to the rescue, and had us back up within an hour. I’m still impressed at the same day service and fast responses to any questions or concerns. Highly recommend! Lockedown Design & SEO made a success out of my business. We’ve had John as our ‘business partner’ here for 3 years now, and he is thorough and fast. He took us out of the darkest corner of the web and literally put this business on the Google map. SEO is everything. It’s well worth whatever it takes. John has been terrific. He responds to issues quickly, and worked overtime to address my many needs. Highly recommended. Great blog too! SEO for a Sacramento-based manufacturer of industrial blast cabinets with national distribution and sales. Web design, web development, and SEO for a Sacramento classic auto restoration shop. Need an SEO consultation? Fill out the form below, and we will contact you shortly to schedule. Can You Do SEO Without Paid Tools? Did the Google Search Quality Raters Visit Your Site? If you're ready to get real, measurable ROI from your website and SEO marketing, click the button below to send us your project inquiry. Learn the latest on SEO and internet marketing. Receive the latest posts on getting the most out of your business website. Lockedown Design & SEO helps manufacturers and industrial companies rank higher in search engines. © 2012–2019 Lockedown Design & SEO. All Rights Reserved.